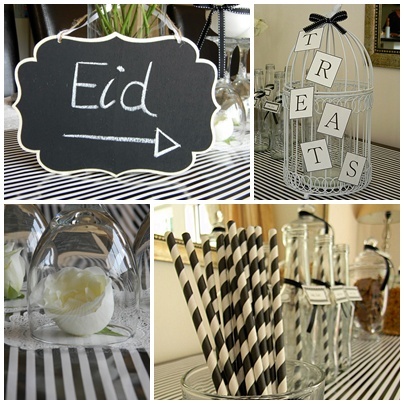 We used this trusted Birdcage as the sign for the Treats table. Loooves this! Glass drink bottles all prettied up with labels and black satin ribbon. 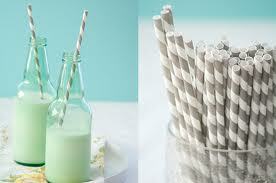 B & W paper straws! We just had to. See our blog for purchase details of these and other colours too. We used a lace patterned paper napkin and tied it with a white stitched edge ribbon and a little 'Eid Mubarak' sign. 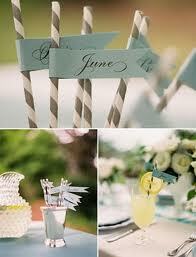 The centrepiece- fluted glasses with white roses under each and white candles tied with ribbon on top. 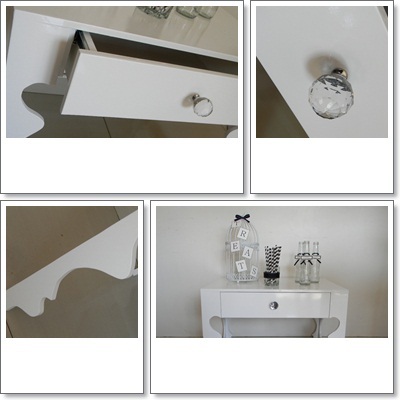 We moved our drinks station to this sweet little table by Custom Carpentry for a photoshoot. See more amazing designs by them here. Being the month of Ramadaan, each iftaar (time of breaking the fast) meal calls for a celebration and a get together of loved ones for this precious time. These are pics of the iftaar dinner that my sister and I prepared for her group of friends. Pink and gold, and oh so girly! To all those fasting, Happy Fasting! We handmade these pom poms and placed them on fluted glasses as the centrepieces. Our new fav! Gold paper doilie napkin rings. 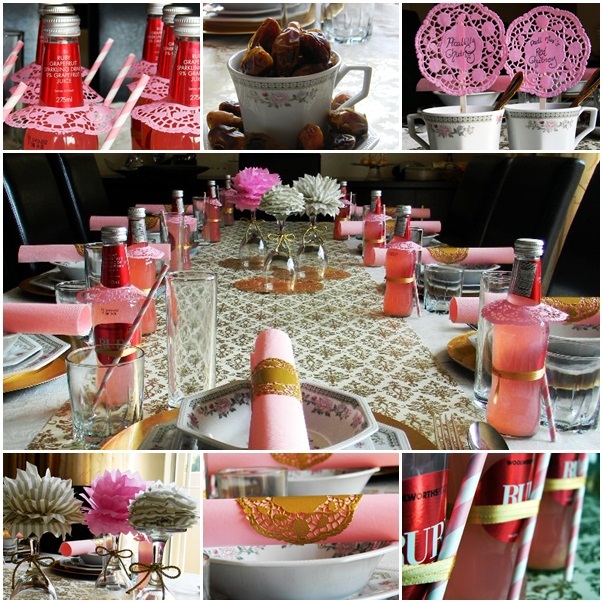 We dressed these Ruby Grapefruit drinks with paper doilie skirts, gold ribbon and paper straws. Sweets! 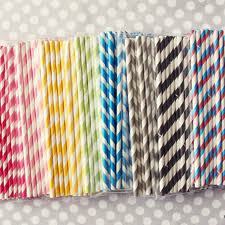 Milkshake pink paper straws. Now selling at here at TCP on the B. Being an Iftaar dinner, there had to be dates. We served them in this sweet floral teacup. 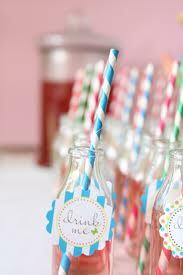 Shimmery creations by Nabeela's Bakeshop, on pink paper straws to match the drinks! Love!! 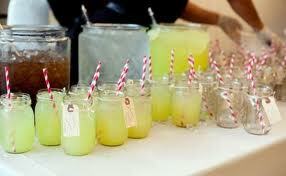 We love love love Barber striped paper straws and have used them on lots of our events recently. 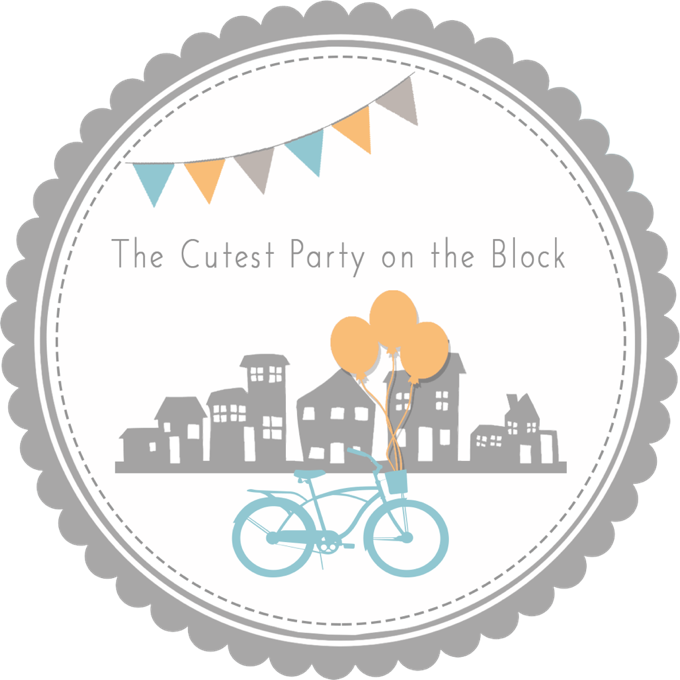 They add perfect retro charm to any special event! 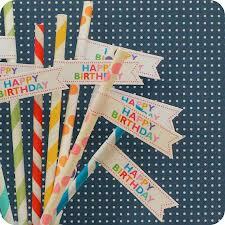 Eco-friendly, biodegradable paper straws, made with food safe ink. Get yours now here at TCP on the B.